This is a recipe I first made when I was 11 - and I've been making ever since. 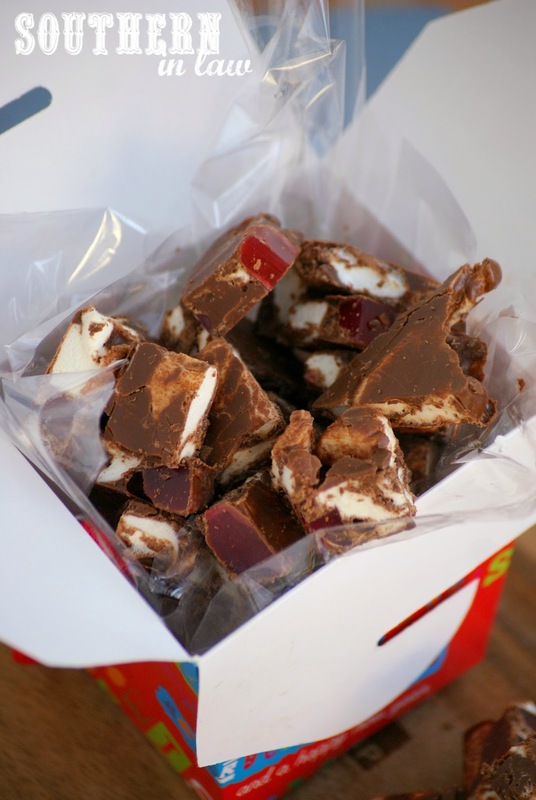 It's not a healthy recipe, but it is a delicious one - and we make this Rocky Road every Christmas and our family and friends all love it. You see, Christmas was fast approaching and my teacher decided that she'd treat us to a special activity. We were going to make Rocky Road Christmas Trees. Eugh I thought - I hated Rocky Road at the time, but only because the only Rocky Road I'd ever tried was full of coconut and horrible glace cherries. But Mrs C had a different idea. Instead of glace cherries, coconut, dark chocolate and other non kid-friendly foods, she decided to use lollies (read: candy, my international friends!) instead! I've since adapted her recipe slightly, but one thing still remains the same - those non kid-friendly foods are no where to be seen and it's just bite after bite of sweet deliciousness. I've made this recipe with our youth group kiddos and they loved it - some of whom even went home to make it again with their own families - so the recipe continues to make the rounds 11 years later! Best of all, this Rocky Road Recipe is easily adaptable - you can add in chopped nuts or coconut or switch milk chocolate for dark or white chocolate or a marbled white and milk chocolate mix - you can even add in some puffed rice for crunch and texture. 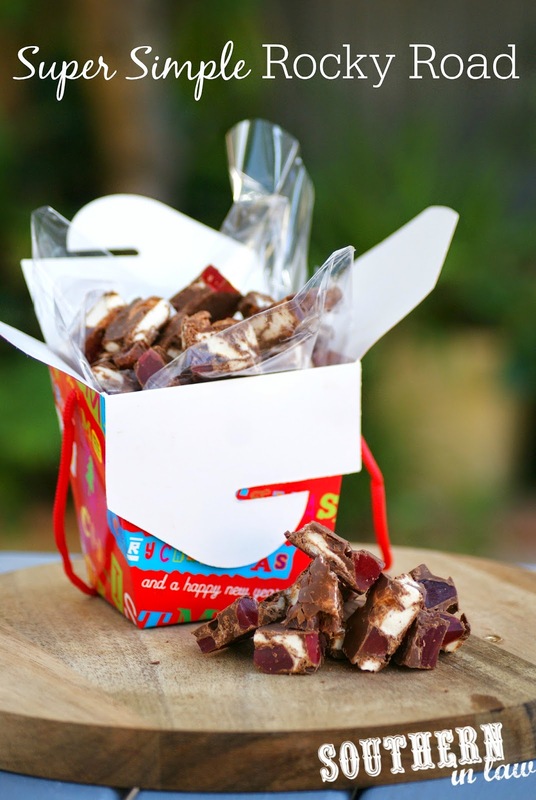 We make a big batch every year and chop it into chunks once it's set before putting the Rocky Road into cellophane lined Noodle Boxes (these cute Christmas ones were just $2 from The Reject Shop!) and sharing them with our loved ones. 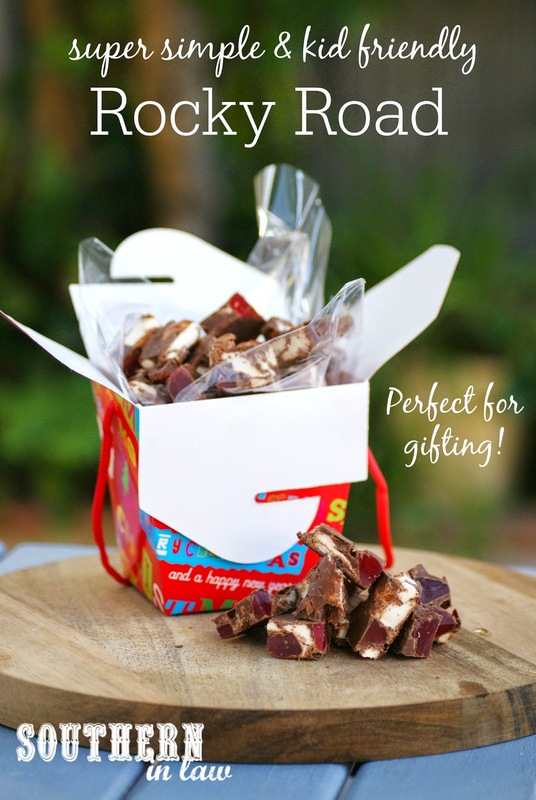 gluten free, easy to make and perfect for Christmas gifting! Melt you chocolate either in the microwave (very carefully so as not to burn your chocolate) or over a double boiler (heat a saucepan with a small amount of water and place a heat proof bowl on top with your chocolate, stirring until the chocolate melts). Once your chocolate has melted, mix in your chopped lollies, mixing until the chocolate coats everything. Pour onto your tray and chill in the fridge until set. ***You want to use chewy/gummy style raspberry lollies/candies. We used to use Allen's Raspberries, however, they're not gluten free so now I use Beattie's Brand Lolly Raspberries which are gluten free and available at Big W.
But tell me, are there any recipes you've making for years and still absolutely love? This is one recipe we make every year but never change whilst we often make variations of classic recipes/dishes. What a great idea to use the lollies. 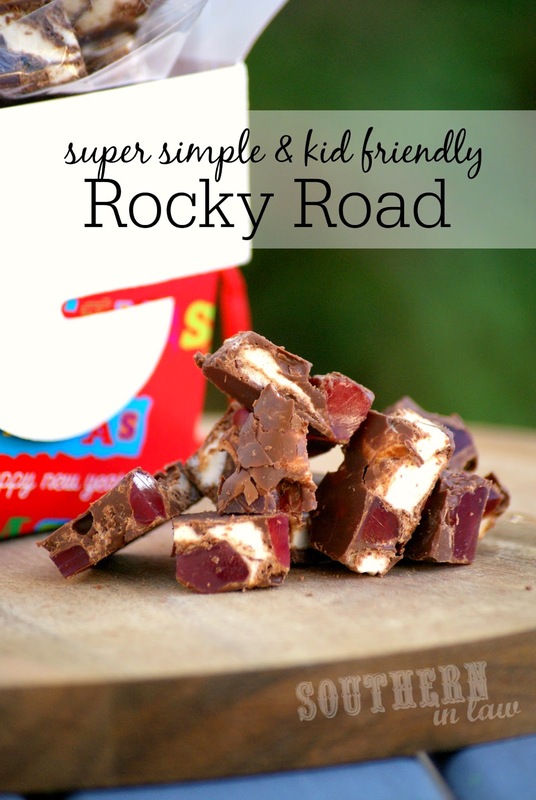 I've never been a big fan of rocky road but the kid in me would like this one! It's definitely a much tastier addition!